In June 2016, Louise Bessette was honoured by the University of Western Ontario (London, Ontario) where she received the degree of Doctor of Music, honoris causa, to celebrate her accomplishments as an internationally recognized performer and leading light in the interpretation of 20th and 21st century music and for her significant impact in the contemporary world of classical piano. Louise Bessette’s musical career is a great arc, consistently demonstrating her deep engagement with the music of her time. She dedicated the year 2008 to the centenary of the birth of Olivier Messiaen. Her efforts and enthusiasm led to the organization of “Automne Messiaen”, which featured more than 50 performers, ensembles and organizations celebrating Messiaen in Montreal. The Orchestre symphonique de Montréal and his Music Director Maestro Kent Nagano gave a stunning performance of the opera Saint-François d’Assise which received the Grand Prix 2008 from the Conseil des Arts de Montréal. Mrs. Bessette shone as a soloist of Messiaen’s oeuvre over the course of wide-ranging concerts that brought together seasoned performers, including the SMCQ Ensemble, conducted by Walter Boudreau (Des canyons aux étoiles), l’Orchestre du Conservatoire de musique de Montréal, lead by Raffi Armenian and Louis Lavigueur (Sept Haïkaï, Trois petites liturgies de la présence divine), l’Ensemble Musique Avenir, led by Véronique Lacroix (Oiseaux exotiques), and an evening of poetry and music with the poet and narrator Pierre Morency. In order to perform the Quatuor pour la fin du temps, a seminal piece in Olivier Messiaen’s oeuvre, Louise Bessette formed the Ensemble ARTefact with Simon Aldrich (clarinet), Yegor Dyachkov (cello) and Jonathan Crow (violin). This collaboration led her to launch the idea of an homage to the great French composer by commissioning the talented Canadian composer, Nicolas Gilbert, to write a piece for the same group of instruments. This resulted in the quartet “Le temps des impossibles”, which was made possible thanks to a grant from the Canada Council for the Arts. Then, on the 10 of December, 2008, the date of Messiaen’s centenary, Louise Bessette performed the complete Vingt Regards sur l’Enfant-Jésus at the Chapelle historique du Bon-Pasteur in Montreal. This concert was greeted enthusiastically by the critic Christophe Huss, who rated it among the 10 best concerts of the year: “What started out a celebration became a ceremonial […] the architectural grasp […] mastery of time […] primacy of form and content […] Louise Bessette’s Messiaen is as powerful as Kent Nagano’s [… ]” (Le Devoir, December 11, 2008). Louise Bessette officially celebrated her 30 year musical career on March 31, 2012, at the Chapelle historique du Bon-Pasteur in Montreal. This huge event was part of the 2011-2012 season of the SMCQ, and it consisted in a triple recital by the pianist. A solo and chamber music concert including four world premieres by Canadian composers Serge Arcuri, Michel Boivin, Michael Oesterle and Ana Sokolovic; a solo recital where we heard the pianist performing two major works from the twentieth century, the Suite no. 9 “Ttai” by Giacinto Scelsi and Les Planètes, a phenomenal work by Canadian composer Walter Boudreau; at the ending of this fantastic musical day, British pianist Peter Hill joined Louise Bessette in a stunning program: The rite of spring by Stravinsky (celebrating the centenary of this historical work) and the Visions de l’Amen by Olivier Messiaen. As a pianist with an eclectic repertoire, and always eager to promote exchange with other art forms, Louise Bessette recorded the works of Charles- Valentin Alkan and Grieg for a film soundtrack in March 2009. “Hidden diary”, by the French film director Julie Lopes-Curval and starring Catherine Deneuve and Marie-Josée Croze, was presented as world premiere at the Festival des Films du Monde in Montreal (2009), and then in movie theatres all over the world. 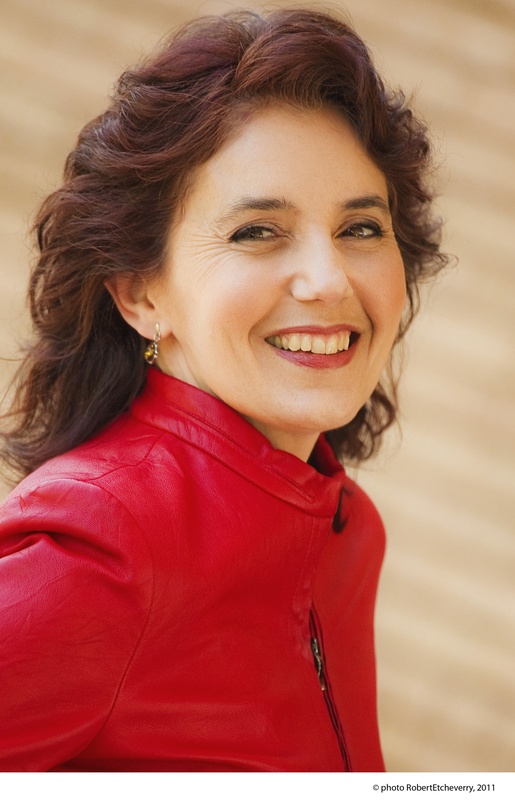 Louise Bessette has recorded as a solo pianist, with orchestras and with chamber ensembles. Her recording Messiaen, Les oiseaux on Analekta label received a wonderful review in the Gramaphone magazine in December 2009. She has worked with the Canadian labels SNE, Les Disques SRC, Centrediscs, Doberman-Yppan, Analekta, Atma Classique, Riche Lieu, and Fonovox; in France with Disques Montaigne and Salabert/Actuels; and in the United States with Mode Records. Chamber music concerts and recordings gave her the opportunity to perform with great performers such as Simon Aldrich, Robert Cram, Jonathan Crow, Lise Daoust, Angèle Dubeau, Yegor Dyachkov, Mark Fewer, Marc-André Hamelin, Brian Manker, Douglas McNabney, Andrew Wan, the Quatuor Alcan, the Quatuor Molinari and London’s Arditti Quartet. Many composers have created works especially for her, including the Canadians Serge Arcuri, Simon Bertrand, Lorraine Desmarais, François Dompierre, José Évangelista, Nicolas Gilbert, Michel Gonneville, Marc Hyland, Alain Lalonde, Maxime McKinley, Silvio Palmieri, Isabelle Panneton, Sean Pepperall, Serge Provost, Anthony Rozankovic, Raoul Sosa and André Villeneuve, and the French composers Claude Ballif, Bruno Ducol, Jacques Lejeune and Costin Miereanu. Gilbert Amy dedicated his Obliques III to her. Louise Bessette has received unreserved acclaim from critics: “Messiaen has found in Louise Bessette his most inspired modern-day interpreter, undoubtedly for many years to come (Yves Allaz, Journal de Genève). “Her program was striking […] the sight of the captivatingly elegant Louise Bessette rampaging happily through Cowell’s Exultation and Tiger was nothing if not appealing, and she responded to the glittering splendours of Olivier Messiaen’s Vingt Regards sur l’Enfant- Jésus with playing of genuine grandeur. All this was delivered faultlessly from memory and with astonishing reserves of controlled, relaxed virtuosity.” Malcolm Hayes, The Musical Times, London). During the 2013-2014 season, Louise Bessette undertook a daunting project. To celebrate the 25th musical season of the beloved cradle of so much of Montreal’s innovative music, La Chapelle historique du Bon-Pasteur (Montreal), she offered a series of four piano recitals : 25 ans de musique québécoise avec Louise Bessette, to create an impressive overview of music from the period of La Chapelle’s existence, 1988 to 2014. On the website Montrealistement, Normand Babin’s review emphasized the enormity of this event which included 25 works by 25 different Quebec composers, one for each year, including a world premiere for 2014 : La femme forte ; Louise Bessette, la voix des compositeurs québécois ; 25 œuvres, 25 compositeurs, 25 ans…UNE seule pianiste. This spectacular event has implanted itself as a milestone in Quebec’s musical history. Prizes and honours have accompanied Louise Bessette throughout her career. She took top honours in the Eckhardt-Gramatté Canadian Music Competition (1981), First Prize at the Concours International de Musique Contemporaine in Saint- Germain-en-Laye, France (1986), both the First Prize and the Special Prize for Piano at the Rotterdam 1989 International Gaudeamus Competition for Contemporary Music, and the 1991 Flandre-Québec Award in recognition of her contribution to contemporary music. The Conseil Québécois de la Musique awarded her the Opus Prize 1996-1997 in the “conductor or soloist of the year” category, for her recital of Messiaen’s Vingt Regards sur l’Enfant-Jésus. In January 2010, she received two Opus Prizes : “Performer of the year”, and “Musical event of the year” for Automne Messiaen 2008, and in January 2012, the Opus Prize “Record of the Year – Modern and Contemporary Music” for the CD Serge Arcuri – Migrations (ATMA Classique). In 2013, she won the Opus Prizes “Concert of the Year – Montreal” and “Concert of the Year – Modern and Contemporary Music” for the event Louise Bessette, 30 ans de carrière. In January 2015, Louise Bessette was listed as one of Canada’s top 25 pianists by CBC Music. She also received, in 2015, the Opus Prize “Performer of the Year” for the concert series 25 ans de musique québécoise avec Louise Bessette. In 2016, with the Molinari Quartet, she received the Opus Prize in the category “Record of the Year, Modern and Contemporary Music” for Sofia Gubaidulina – Chamber Music (ATMA Classique). In Februay 2018, Louise Bessette received her ninth Opus Prize in the category « Concert of the year – Répertoires Multiples » for a recital that she gave at the Maison de la Culture Francis-Brisson in Shawinigan where she presented works by Brahms, Dompierre, Grieg, Lecuona and Piazzolla. The Montréal daily La Presse named Mrs. Bessette “Personality of the Week” in 1986, while in 1989 the Salon de la Femme de Montréal named her “Woman of the Year” in the Arts category. In October 2001, she was received as a Member of the Order of Canada and appointed, in June 2005, Officier of the Ordre national du Québec. In November 2009, she was named Ambassador of Canadian Music by the Canadian Music Centre.